When Billy Covington (Robert Downey, Jr.) accepts a job to fly planes in Laos, he expects to join a crew of civilian pilots flying in peaceful air zones. 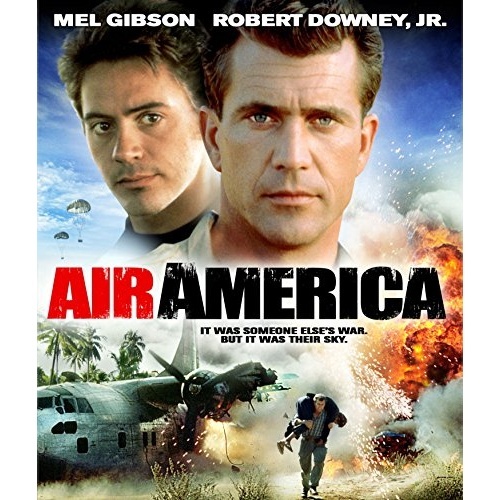 What he gets is Air America, a ragtag group of renegades dodging gunfire to run secret - and shady - missions for the CIA. As danger grows and the line between allies and enemies blurs, Billy turns to a wild and grizzled pilot named Gene Ryack (Mel Gibson). Together, Billy and Gene take a stand against the chaos and become something no one ever believed they could be: heroes.